In 1997 Jackson County Community Justice obtained a Federal grant from the Department of Justice, Office on Violence Against Women, which provided for the development of a specialized Domestic Violence Unit within the department. The Domestic Violence Unit is comprised of four (4) Parole/Probation Officers who are tasked with enforcing each offenders supervision conditions as identified by the Courts, Local Supervisory Authority, and the Board of Parole and Post-Prison Supervision. The Domestic Violence Unit works in collaboration with local victim advocacy agencies, Batterer Intervention Providers and the Jackson County Council Against Domestic and Sexual Violence (JCCADSV). The Unit vigorously enforces court ordered no-contact, anti-stalking and restraining orders and works with victims to encourage safety planning through referral to community resources. Primary emphasis of the Domestic Violence Unit is prevention and intervention in an attempt to achieve and maintain the overall Unit goal of increased victim protection, offender accountability, and probation visibility. The Parole/Probation Officers are specially trained in the behaviors and beliefs of domestic violence offenders and utilize a variety of tools to assist in the enforcement of the offender’s supervision conditions. The Parole/Probation Officers work in collaboration with Batterer Intervention Treatment providers and Polygraph Examiners to provide a framework of offender accountability and rehabilitation, while maintaining victim safety. Complete all risk assessments including the Public Safety Checklist (PSC) assessment and the Ontario Domestic Assault Risk Assessment (ODARA). These assessments are used to determine the offenders risk to re-offend and corresponding supervision level. Provide offender referral to Batterer Intervention Treatment, also known as the Domestic Abuse Alternative Program (DAAP). Enforce no contact orders and restraining orders. Work collaboratively with the Batterer Intervention Treatment providers and polygraph examiners to monitor the offenders compliance with treatment and supervision conditions. 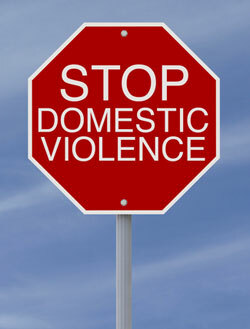 Participate in the Jackson County Council Against Domestic and Sexual Violence (JCCADSV). Be an active participant in the Batterer Intervention Team. Provide final decisions on issues related to sanctions, travel permits, and contact with victims. This program, by Oregon Statute, is a minimum of 36 weeks in duration. The program may be extended due to offender non-compliance. Polygraph examinations are required to determine program compliance and to determine if violations have occurred. Offender completes a ‘Letter of Responsibility’ as a treatment requirement. This letter is written to the victim by the offender, accepting responsibility for their violent behavior. This letter is NOT forwarded to the victim, it is used for treatment purposes only. Offender completes a ‘Empathy Letter’ as a treatment requirement. This letter is written to the victim by the offender and is used to help the offender understand the victim’s experience and what the victim may have been feeling both emotionally and physically. Offender is responsible for payment of all fees associated with the program. No alcohol or illegal drug use, including non-prescribed prescription drugs. Participants who are disruptive or uncooperative will be asked to leave the group and may be suspended from the program.